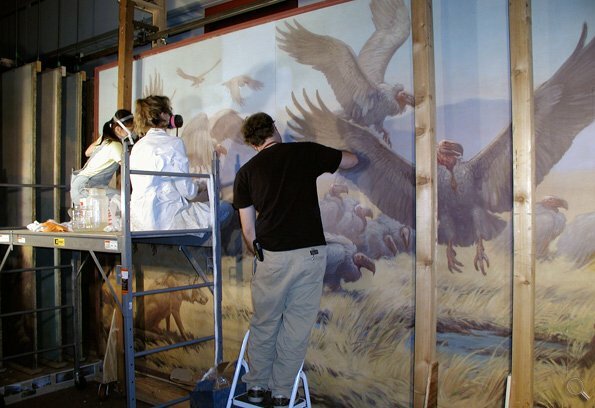 A total of 25 large scale murals were conserved on site at Chicago’s Field Museum by Parma. 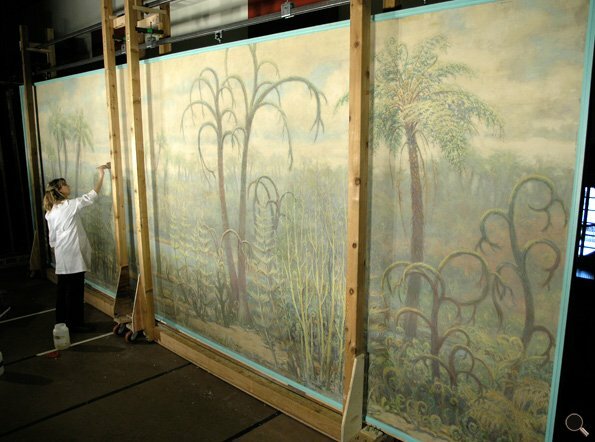 The murals, painted by renowned artist Charles Knight, became an integral part of the museum’s Evolving Planet Exhibit, a forum that covers 4 billion years of geologic time. 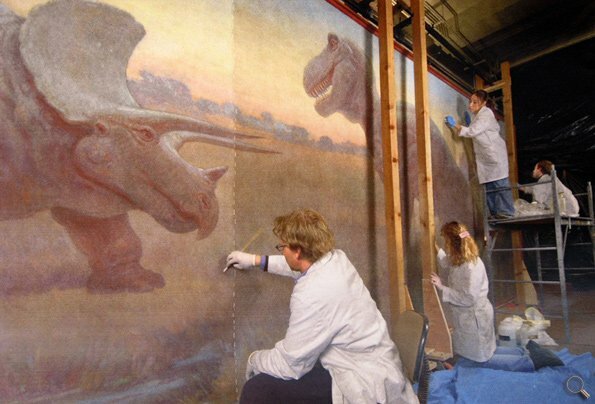 Our staff spent a year at the museum executing treatments in consolidation, cleaning, and structural repair.